I love Aldi, I have ever since the first time that I stepped foot into the store and did my first shopping trip there. While there last week I took the time to come up with The Best Keto Shopping List for Aldi to help you all with your Keto shopping. If you shop at Walmart, make sure you check out this awesome Walmart Keto Shopping list! If you shop at Target make sure you check out the Target Keto Shopping list! While doing your meal planning be sure to check out 11 Keto Breakfast Recipes, Keto Chicken Recipes and 23 Easy Keto Lunch Recipes to make your planning easier! Plus don’t miss our huge section of Keto Recipes, including Keto Fried Shrimp, Crockpot Bacon Ranch Chicken, Keto Chocolate Covered Almonds and more! How to Eat Keto on A Budget. I know sometimes it is hard to check out a new place to buy your groceries but trust me, Aldi it a great place to shop! If you have not yet checked out Aldi, then you really should. 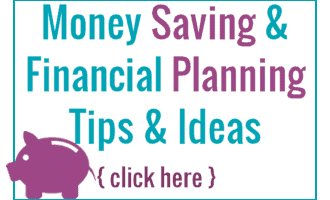 It is a great place to get your Keto items while sticking to a budget. I find a lot of my Keto items at Aldi for cheaper then other places that I shop. Not all of my items do I find better at Aldi, but a lot of them which is why I made this Keto Shopping List for Aldi to help you all. This Keto Shopping List for Aldi is going to make your shopping a whole lot easier, no guessing when you are walking thru Aldi trying to figure out what to buy! Plus shopping at Aldi also helps my budget. Things can get expensive, and I have always been a deal hunter for my groceries, but that doesn’t mean I want to buy junk products. That is one thing that I love about Aldi, they have great prices and the quality is awesome. This Aldi Keto Shopping list does not include items that I have found to be better prices elsewhere, it also does not include items that I have found to be not up to par with my tastes or needs. For example the Aldi cream cheese and Aldi Sour Cream I am not a fan of. I much prefer Philadelphia cream cheese (and it is lower carb then Aldi’s) for example. So while you can buy those items at Aldi I have not included them on my list because I don’t find them to be the BEST items to buy at Aldi that fit the Keto diet. These items up first are my top picks for Keto shopping at Aldi. These are my favorite Keto items that I buy when I am doing my weekly Aldi grocery list. If you are looking for a general Keto Shopping list then check out this awesome Keto Shopping list! Number one on my Keto list is a recent add because I just tried them and oh my! They are amazingly good. The Elevation bars, they have many flavors, so far I have tried the peanut butter and chocolate and the coconut and chocolate. They were both AMAZING! They are great for when you need a sweet treat, and since I am lazy Keto they fit in perfectly with my need for on the go snacks. Plus the coconut one seriously tastes just like the chocolate coconut candy in the Valentine’s Day candy boxes! Low Carb Pasta Sauce. Rao’s Pasta sauce is the best pasta sauce I have found that is Keto friendly, however it is expensive. 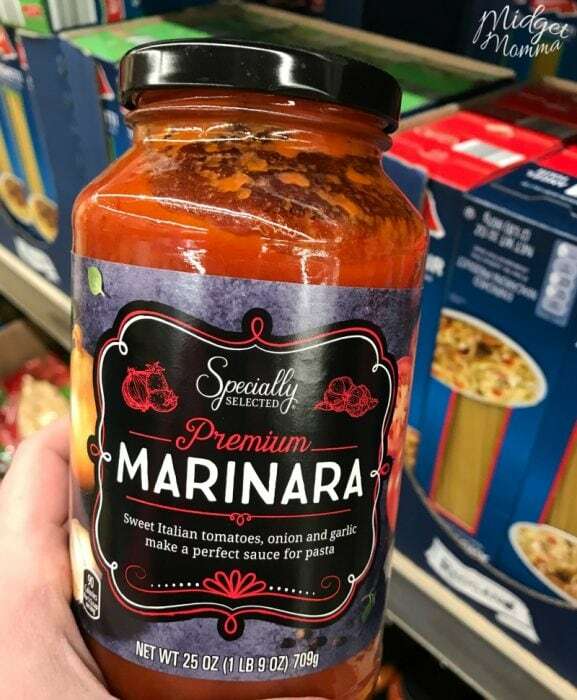 It ranges between $8 and $15 a bottle for pasta sauce and that is so not in my budget. However Aldi has a pasta sauce that is just 5g net carb (Rao’s is 4g carbs) and $4-$6 a jar depending on what Aldi store you are shopping at. Eggs. Most of the time I find the best deal on eggs at my local Aldi. There are times that when I use a coupon I can get eggs cheaper elsewhere but to make life easier I have been sticking with buying them at Aldi as they range from $1.50- $1.99 a dozen. The only downside I have found so far is that they limit it to 6 dozen eggs per person. There are 6 of us and a dozen eggs is basically gone after one breakfast. Heavy Cream. Not only is Aldi heavy cream the best price I have been able to find at $1.69, it is also 0g of carbs! It is perfect for making chicken and broccoli Alfredo. Berries. Depending on the season the variety and price of blueberries, strawberries and blackberries differs when shopping at Aldi. However they always beat out the price of any of my other local stores so they are always on my Keto shopping list for Aldi. 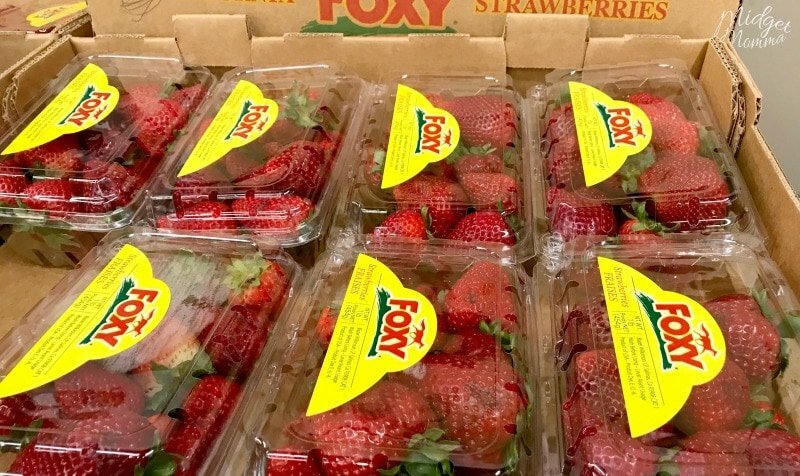 For example this past week strawberries were just $1.69! I stock up when they are low and then freeze them too. It keeps the budget in check to have them on hand. If you have never frozen berries it is super simple! Check out how to freeze strawberries and how to freeze blueberries full the full easy instructions. I will also say that you are going to want to lift the top boxes and pick from the lower packs when you are getting fruits from Aldi. Sometimes the packages on the top are a bit bruised and bumped. Cheese. 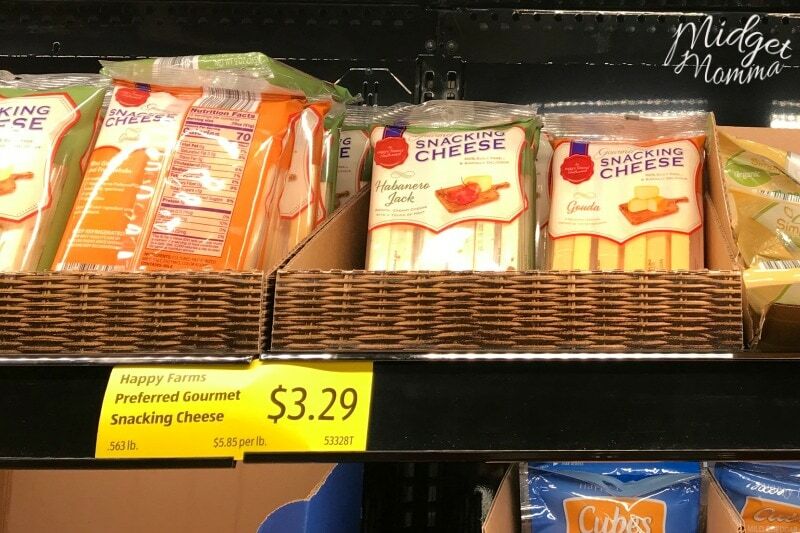 There are TONS of cheese options at Aldi. From string cheese to shredded cheese. I like the sliced block cheese that makes it super easy to make cheese crackers with. Tuna. Keto Tuna CakesCanned tuna makes for a lot of simple keto recipes but it can get expensive. I have found the canned Tuna at Aldi to be awesome and it is great for making. Butter. I have found Aldi to have the best prices on butter near me. 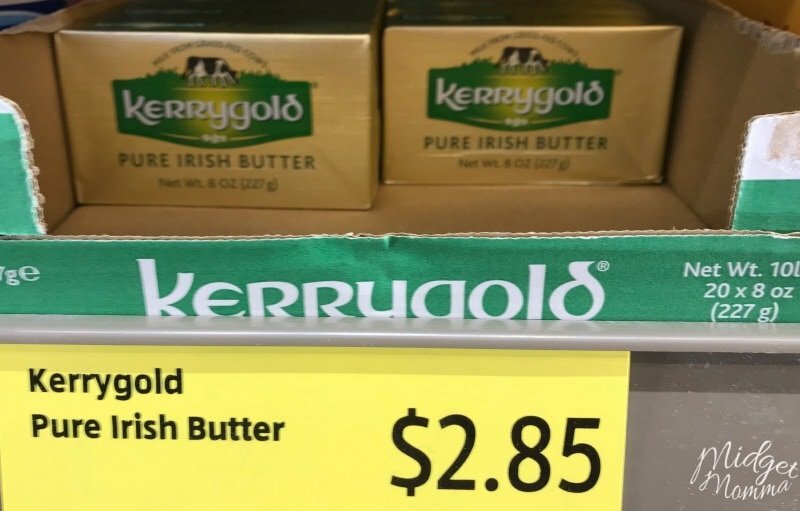 Even better most of the time they have Kerrygold and when they do it is only $2.85! That is MUCH lower then the price of Kerrygold in all of my other stores. You will also want to check out how to make ghee, because making it yourself is soo much cheaper then buying it! This list is of the items that I find to be the best price at Aldi compared to my other stores. 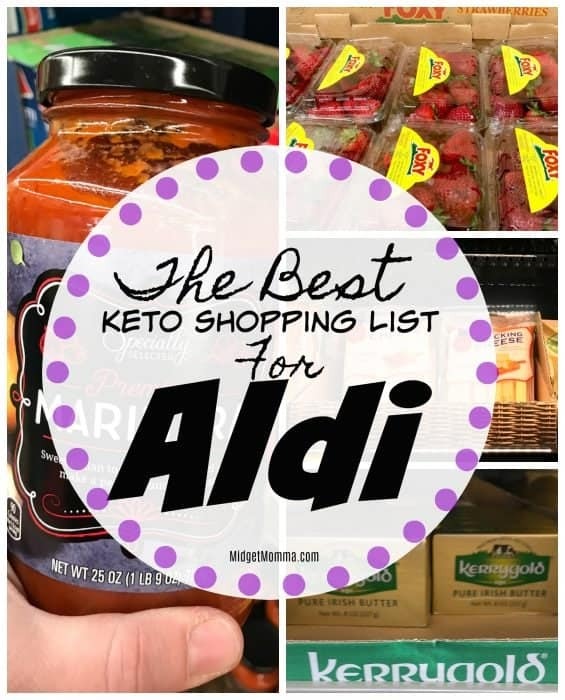 There are more Keto friendly items at Aldi then on this list, however I find them at places like Amazon and my other stores for better prices so I am not including them on this list. Now when you get to the veggie section of the store at Aldi it can be shocking at how great the prices are. It can also make you a little lost when making sure the items you are buying are Keto friendly. To make you life easier here is a list of Keto Friendly Fruits and Veggies to buy at Aldi. Bags of salad and bags of fresh spinach I find Aldi to have the best price on this for me. Almost always Salad mix is under $1 a bag and in my other stores this is about $2 a bag. The following are on my Keto Shopping List for Aldi when I head to the store. Pepperoni – You got to make these Pepperoni Chips! Coconut Oil – I always find the best price at Aldi compared to other stores. Now again, I prefer to buy my meats and seafood fresh but if you are wanting budget friendly but still tasty seafood and meat items that are frozen for eating Keto Aldi does have some great options. These are on my Keto Shopping List for Aldi when I head to the store. 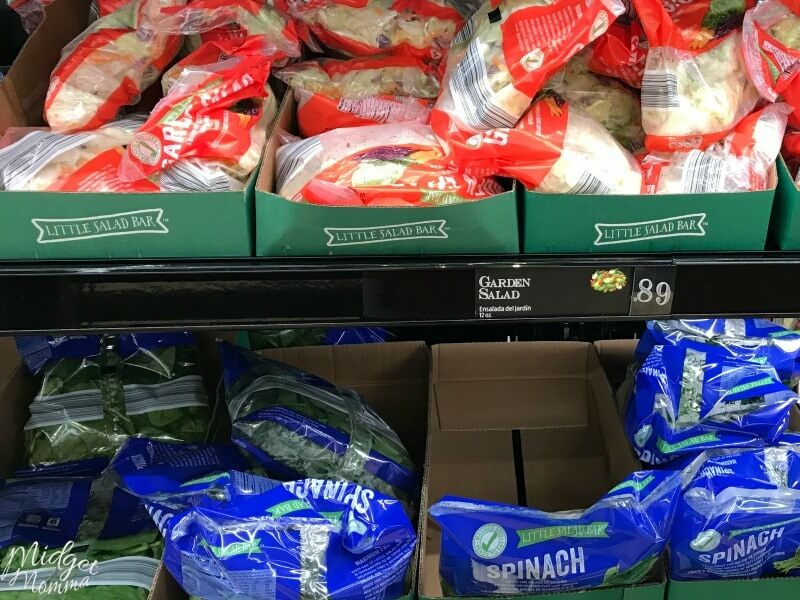 If you are looking for ways to save even more money when you are shopping at Aldi for your Keto tastiness, make sure you check out how to use Ibotta at Aldi and make sure you bring your own reusable shopping bags when you go to the store! I Love Aldi Grocery Stores❣️ Olives, Canned White Chicken, Albacore Tuna, Scallops, Fresh Fruits & Fresh Veggies,Cheese,Chicken Wings,Thighs, & Breasts,Cheeses, & so much more! I am just learning about keto and having recipes will be a great help. Thanks. I put in the wrong email address! I love making buffalo chicken dip with the canned chicken, cream cheese, ranch dressing, shredded cheese and hot sauce. All from Aldi. This is a favorite around here with celery or keto cheese crisps. Don’t forget the Elevation snack bars!! 2 net carbs per bar. Some taste like snickers! Definitely a treat when you’re craving something sweet. 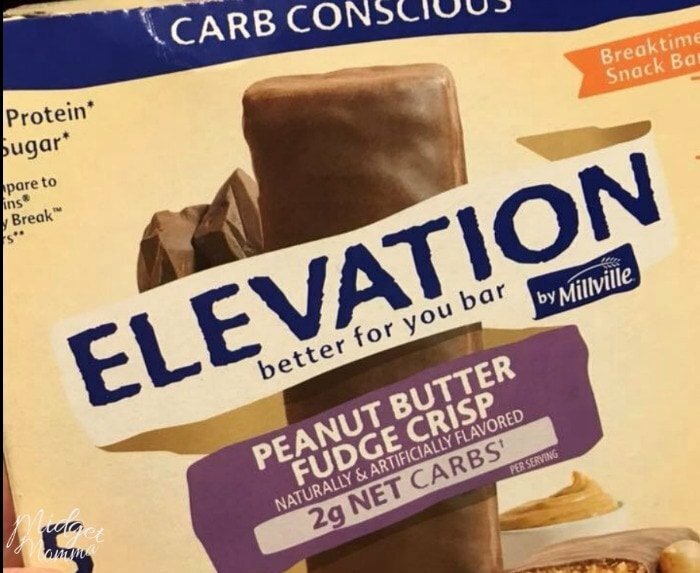 I noticed the Elevation bars are the ones who have Maltitol. They do have one that has Erythritol, but it is a good idea to stay away from Maltitol because of the glycemic index, which is 52. I’m just looking to get started doing let and it’s a bit overwhelming. I have Aldi’s by me and agree they have great prices. My one question is what about wine I enjoy a few glasses after work. Any suggestions? doesn’t have to be at Aldi’s. … didn’t read all the comments but Aldis cream and cream cheese are the same carbs as other brands, they just round down to 0. It is a false set of security thinking heavy cream has no carbs. I think most of it has .40 which means they can round down to 0. When I buy Aldis cream (which i love) I log a different cream on MFP so the carbs get accuratley logged. Hope that helps someone. A really great post. I’m sharing it with my keto support and encouragement group. However, just to note: all whipping cream has carbs. I know that the label says 0 however the federal drug and Food Administration in the United States as if it’s less than one carb they can list if it’s zero. All heavy whipping cream has .4 carbs per tablespoon. So the serving size of 2 tablespoons will give you .8 carbs. I only mention this because I’ve learned the hard way several years ago when I started this woe. Once I stalled out I had to adjust and look for where my hidden carbs were. Bingo! 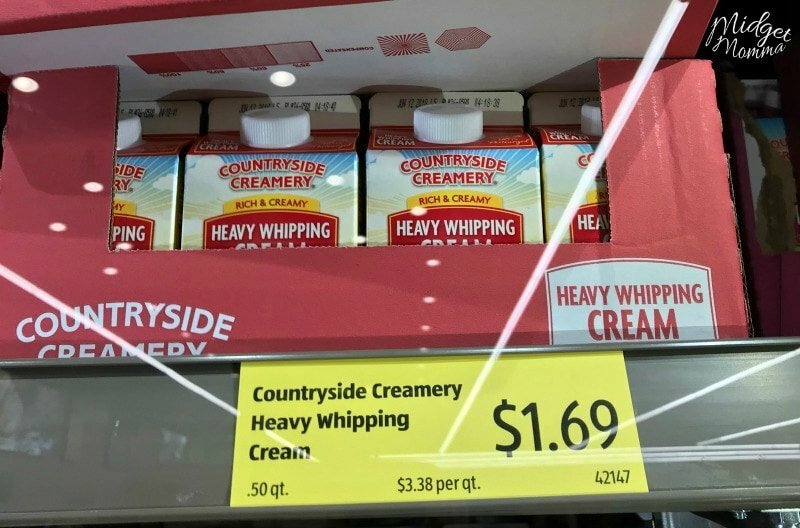 Heavy whipping cream. Thanks again for the good read. I love Aldi but ours just expanded (yay!) and is always just so packed (boo)! It’s like people lose all sense when they have to use a quarter for their cart and walk in the door and just randomly stop in the middle of the aisles or leave their cart (and purse!) halfway up the aisle and get distracted by the deals. Meanwhile people are still flooding in the door behind them and they’re in their own little world. And that’s if the workers haven’t left a giant pallet in the middle of the aisle as they’re stocking. I wish they would open a few more around town. We’ve got three walmarts, four Kroger’s, and four Publix local to us, why can’t we have at least three Aldi’s?? One day we’ll figure out the best time to shop there…. In your veggie list don’t forget mushrooms, both sliced and portobello. They are literally half the price than traditional grocery stores. I’m a bit of a mushroom fanatic. Lol. I put them with almost everything. I have never seen Kerry Gold at Aldi here in Orlando, Fl. omg…ive been looking thru articles for the past hour or so and this one was by far the most helpful…thank you so much. i love low carb and i love aldi.bless you. Thanks to you! 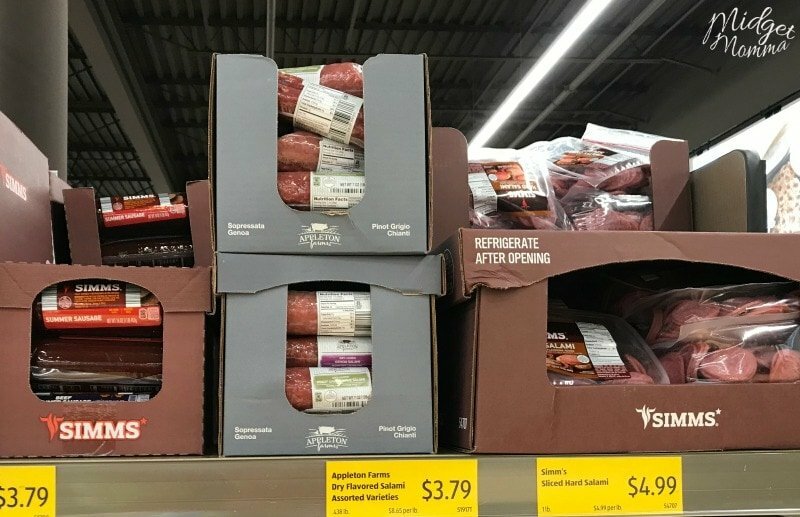 Aldi is better suggestion you have provided there for keto shopping. If they gives these groceries with discount. Keto shopping is routine activity so we need many discount with authentic coupons like Sitewide Coupons and Retail Me Not. Thanks for sharing this wonderful keto shopping list for Aldi! I hope we can visit there soon. This is an informative article. I am just starting on keto and I definitely need this. I am doing research on it and I am glad I came up with this. Thanks! This is the best keto grocery list I’ve encountered so far! Thank you so much! I’m definitely sharing this with my friends. I’m sure they’re gonna love it. This is great information, Now I know what to buy for this diet plan. This will really help me a lot and save time searching for ingredients. I just love that list.